I love decorating my home for the holidays. 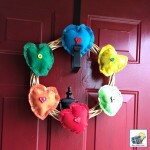 Valentine’s Day is a great opportunity to decorate and bring some fun into the house. 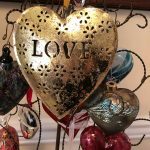 Decorating for Valentine’s Day can bring some warmth into a home during the long, cold month of February! 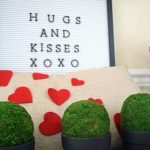 Today I am sharing an easy DIY display box that I created for the fireplace mantel in my home’s living room. With the Christmas holiday season long gone and the Christmas decorations packed away, it’s nice to bring in some new decor for the home. 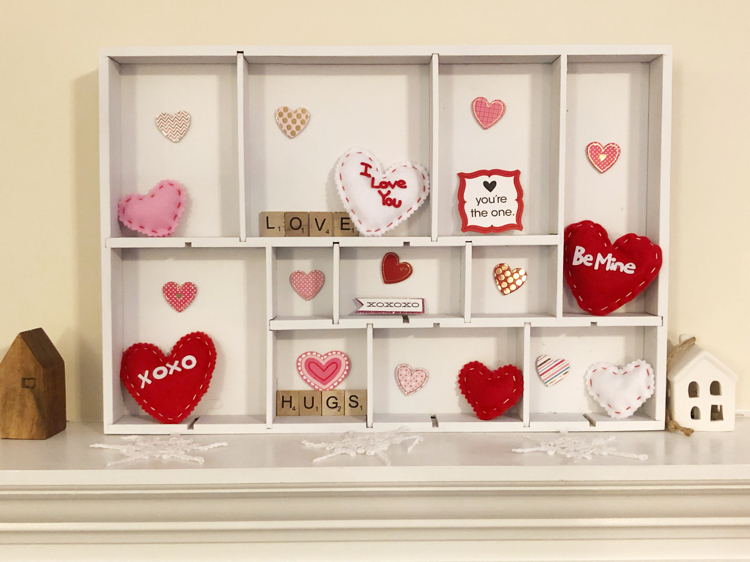 I made my Valentine’s Day curio box from the display box that I had created for some cute Christmas miniatures that I collected. To create my Christmas display case or shadow box, I simply spray painted a bamboo drawer organizer with white spray paint. I put the organizer down on some newspaper in the backyard and sprayed away! Painting my new DIY Christmas shadow box took maybe 20 minutes, tops. I was late in putting my family’s Christmas decor away this year. That was thanks to a winter bug that went through our house! So I just kept the DIY display box out after I packed up our Christmas decorations. I knew I wanted to redecorate my DIY display case for Valentine’s Day! When I created my Christmas display box, it was a lot easier to find cute Christmas miniatures to display in the box. But I really couldn’t find Valentine’s Day miniatures at my local craft store. 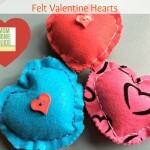 But I did find a bunch of really sweet stuffed felt Valentine’s Day hearts! I also picked up a small pack of wood Scrabble tiles and two packs of Valentine’s Day stickers . 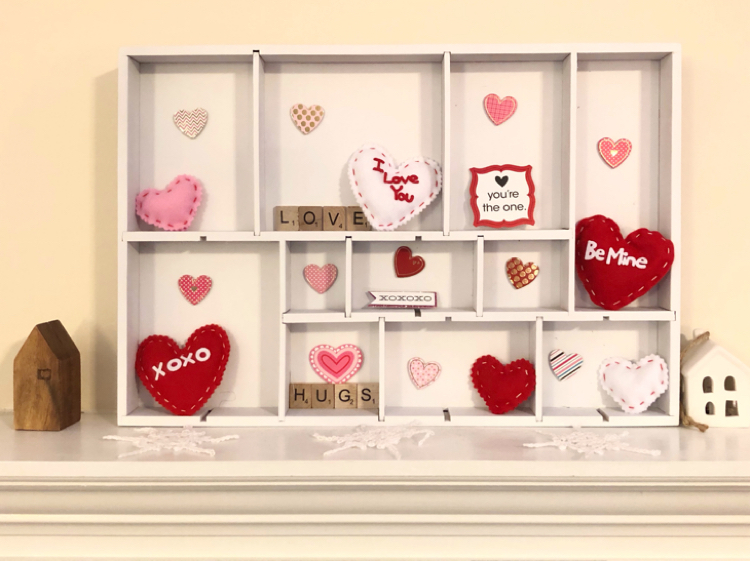 I think the Valentine’s Day decor I found looks great in my DIY Valentine’s Day display box! I don’t know why, but I really enjoy cute holiday miniatures! 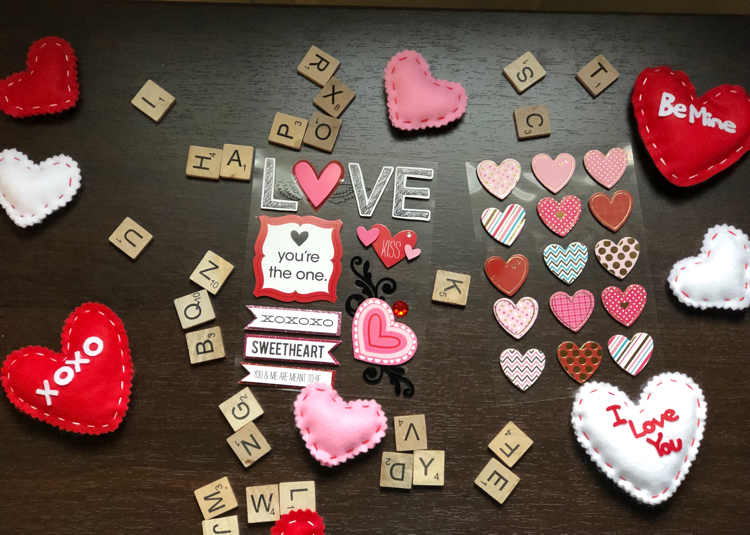 This is another detail shot of my DIY Valentine’s Day display box. 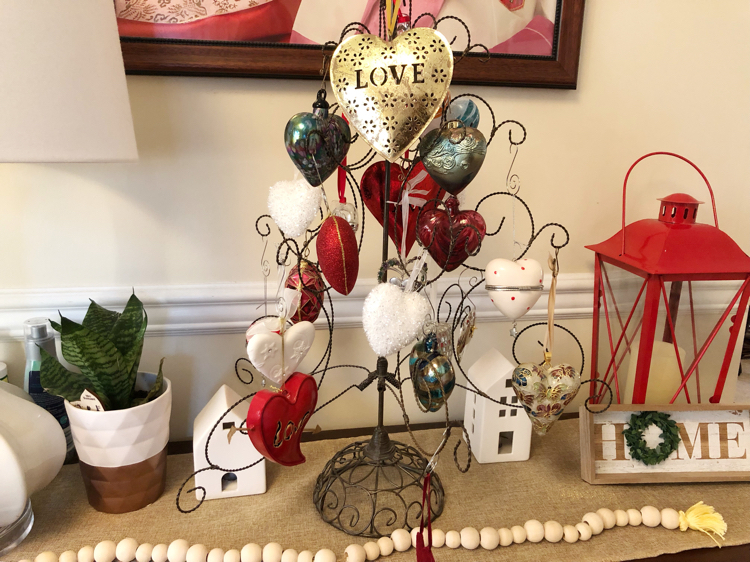 My new Valentine’s Day display box goes together well with my newly decorated Valentine’s Day console table with its heart ornament display tree. 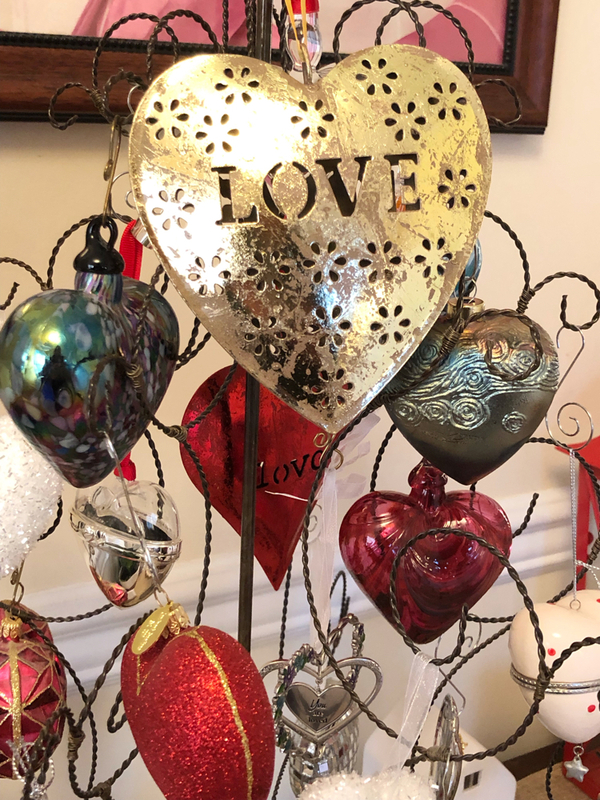 On the tree are the sweet and beautiful heart Christmas ornaments that my husband has given to me over the years. 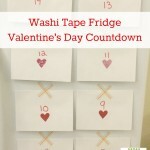 I think they look great repurposed for Valentine’s Day! 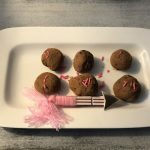 It’s beginning to look like Valentine’s Day in my house! I was wondering if you were going to make a V-Day decorated box. It turned out lovely! Adore all those hearts and the Scrabble letters. I love miniature decorative items too. 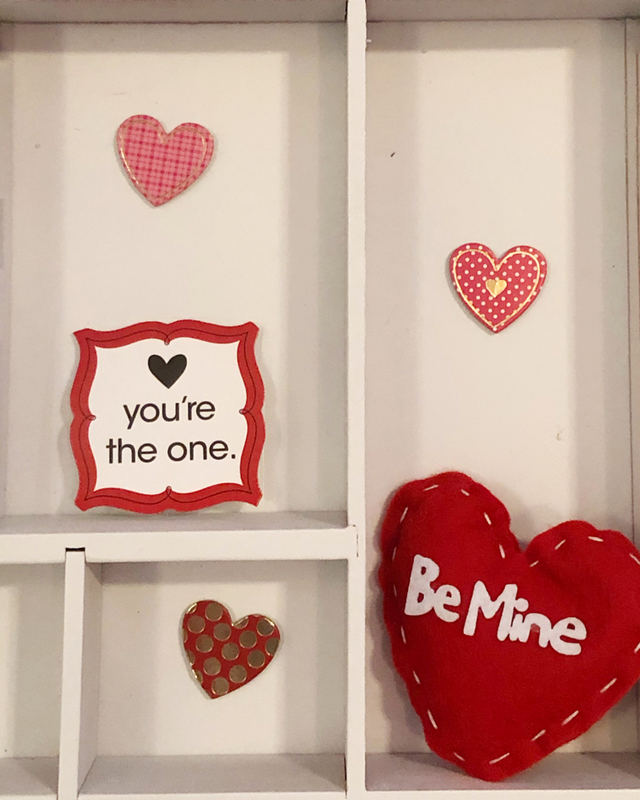 Your Valentine’s display box came out super sweet, Lauren! I love the way you keep repurposing your display box! It’s the gift that keeps on giving! 😉 Pinning! 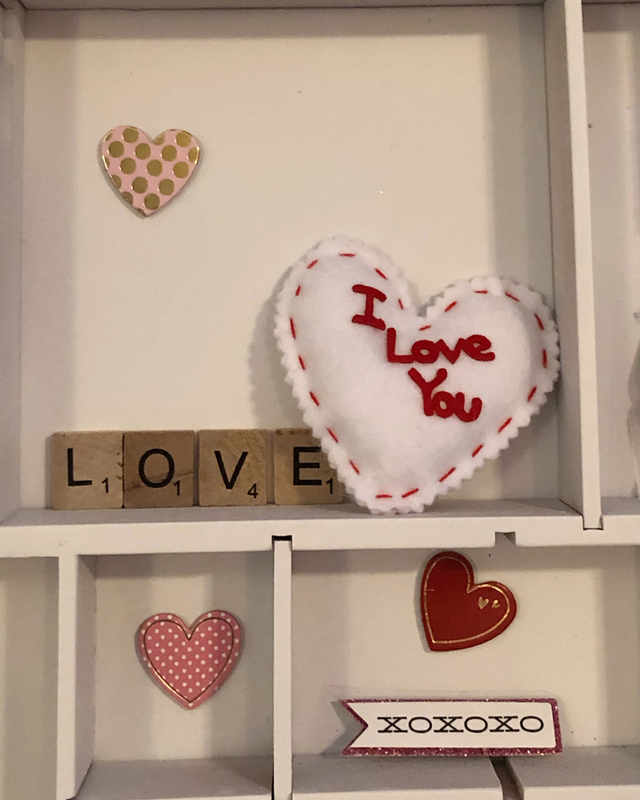 Such a cute Valentines display, Lauren!! I just love how you decorate your display boxes! Those scrabble tiles are so fun! 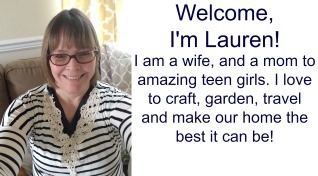 Super sweet shadow box, Lauren. I love that you can use it for every season!